When companies start to use​ Digital Prototyping techniques to increase their productivity, they create large amounts of data. Not only 3D files, but for all the associated documentation. 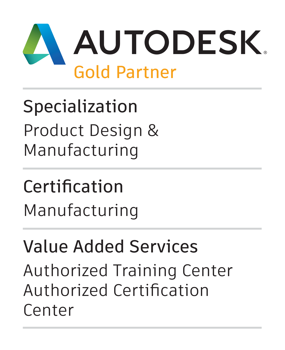 The Autodesk Vault gives everyone involved in the design process managed access to the data they need. Our experienced Data Management Team will work with you through all stages of creating a successful data management implementation. If your engineering office has five or fifty people, we can handle anything from a simple Vault configuration to a complex Engineering Change Order process with Vault Professional. "When we decided that our company’s needs included a replicated vault environment we turned to MESA, and their data management team, to guide us through the process of upgrading to Vault Professional. Throughout the planning and implementation, Mesa’s Data Management Team played an integral role. They met with us early on to address everything from hardware requirements to preparing a strategy for the upgrade. They then put their technical expertise to use, on-site, during the transition from Vault Basic to Vault Professional. Helping us to set up the new vault and migrate all of our existing files. The Data Management Team at MESA continues to provide valuable support as needed, whether assisting with annual software upgrades, troubleshooting problems, or answering questions concerning the use of the vault."